Applications close on Friday 10 February 2017 and successful applicants will be notified of outcome on Friday 10 March 2017. Applications close on Friday 12 February 2016 and successful applicants will be notified of outcome on Friday 11 March 2016. Download the application kit here. 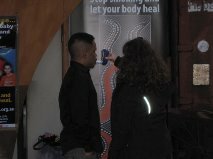 Artists Danny Eastwood and Jamie Eastwood recently helped students at Sydney Secondary College (Blackwattle Bay Campus) to create a mural depicting the effects of smoking on their community and environment. As the photos show, the students really enjoyed the opportunity and the mural, situated at the front of the school, provides a permanent smoke free message. 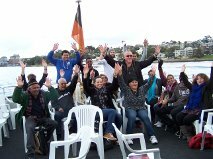 The project was funded by the Aboriginal Tobacco Control Project community grants project. 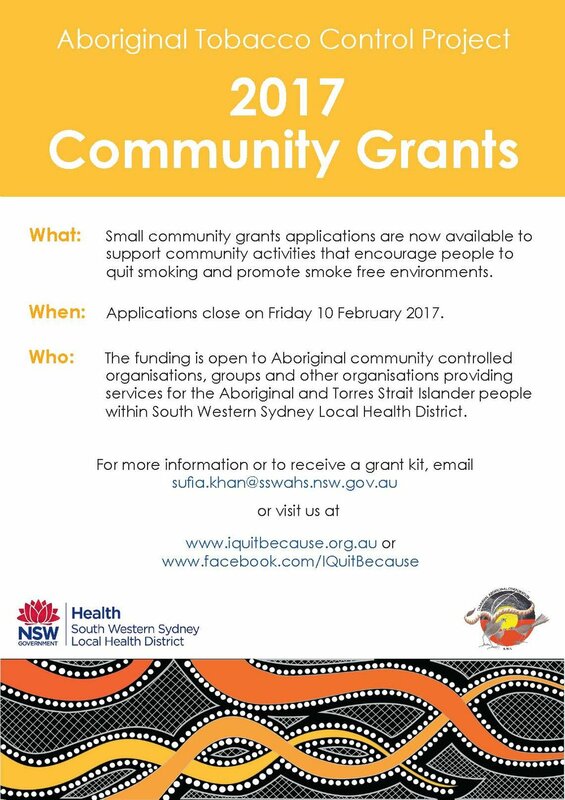 If you would like to know more about the community grants project or would like to know more about quitting, go towww.iquitbecause.org.au for more. Stop smoking and let your body heal. Come along for a chat, check your carbon monoxide levels and sign up to quit groups in your area. We recently joined Uncle Ivan at Campbelltown Hospital where the new Aboriginal Family room was named after him. Uncle Ivan is a regular at many major events, welcoming people to country at occasions as diverse as the opening of Minto Marketplace and the 24-Hour Fight Against Cancer Macarthur. 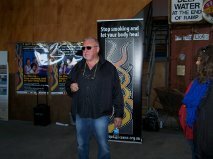 The I Quit Because… project is lucky to have Uncle Ivan’s support in sharing his story about quitting smoking, you can see it at http://www.iquitbecause.org.au/ We also love the artwork in the family room from Randall the artist. The artwork plays an important role in ensuring that the community see it as a space that they are welcome to use. Are you thinking of quitting? Talk to your local Aboriginal Medical Service, Doctor or Aboriginal health worker about options to help you. Don’t forget to ask about affordable patches (Nicotine Replacement Therapy). Stop smoking & let your body heal.